Ham treated with pesticides, fake powdered milk, expired meat sold to fast food chains and baby formula contaminated with melamine are just a few examples of the long list of food safety scandals that occurred in China in the last fifteen years. It was a welcome improvement, not only for consumers (both in China and abroad) but also for the import & export of food between China and the EU. Its promise is to make exporting to and selling from China safer and smoother for the agri-food sector. The trade balance between the China and the EU changes dramatically depending on where we’re looking. Overall the balance is constantly on the red on the EU’s side: it reached its peak in 2015 with €180 billion and went slightly down to €174 billion in 2016. These amounts include all types of exchanges: goods, services and investments. When we start to disaggregate the different parts however, interesting things start to emerge. First of all, investments take the lion’s share of the deficit, followed by goods. On the other hand, the balance for services is positive from the European perspective. The EU’s investments in the Chinese economy and imports of goods are much higher than the Chinese investments in and imports from Europe. China on the other hand, is largely dependent on services provided by EU companies. For goods in particular, the trade deficit is staggering: in 2015, the Union exported goods to China for €170 billion and imported for €350 billion. However, if we dig deeper and look at the agri-food sector only, the balance for 2015 amounts to €5.2 billion in favour of the EU. After the US, China is the second main destination of EU exported food and the one that’s growing more rapidly. That positive balance may sound counterintuitive: after all, isn’t China supposed to be large enough to produce all the food it needs? Up until the 20th century this might have been the case. Now however, things are quite different, and we can safely say that the idea of a self-sufficient China is gone forever. The country is evolving a lot and at multiple levels: the social and economic models are changing while the government is trying to make growth slower but more sustainable. At the same time, it is very active globally, both politically and financially. This slow but steady transformation couldn’t but affect the way Chinese people eat. The middle class is growing at an impressive rate (something almost unheard of only fifteen years ago), and can afford to buy more food with better quality and more variety. Chinese society is partially moving away from the traditional Chinese diet and consuming Western types of food more frequently. As a result, the demand for food is booming and the internal production cannot keep up with it. Stricter food safety standards are one of the reasons why that is happening. Another reason is the limited agricultural resources: because of the lack of controls on pollution levels in the past, a lot of farmland is now considered unsuitable for farming. Infant formula and pork meat are two of the most important items in China’s shopping import list, although for different reasons. High meat consumption has to do with increased levels of wealth: when people have more money to spend on food, the first thing they’ll buy more of is meat. As a result, China is the largest consumer of pork meat in the world (which is already creating sustainability issues). For infant formula, the reason seems to be different: after many food safety scandals that caused the death of several small children, Chinese consumers simply don’t trust national brands anymore. The other four main categories that China imports from the EU are: cereals other than wheat and rice, milk preparations, hides and skins, offal and other types of meat. Together, they make up the 59% of total food exports. First-time food operators in China will soon get familiar with two acronyms: CFDA and AQSIQ. China took the first step towards a new Food Safety Law in 2013, when the government changed the name of State Food and Drug Administration (SFDA) to China Food and Drug Administration (CFDA) and gave it more power. The CFDA is the core of food safety system in China, overseeing the whole food supply chain. Among the agency’s tasks there are: developing draft laws and policies, investigating food safety incidents, organising recalls, implementing prevention activities (like inspections) and a safety information system for the general public. The food law system in the EU has been around for longer compared to China’s, so it tends to change less rapidly, as there were multiple occasions for amendments and improvements. Just like the new Chinese law originated from a series of serious scandals, the EU had its own food safety doomsday in the mid-1990s with the BSE outbreak. After that crisis, the food sector became much more regulated. While the Chinese food system is (or aspires to be) centralized, in the EU there are two actors sharing legislative and crisis management tasks: the central European institutions and its Member States. The interplay of these two levels may make things complicated for food operators in the EU. Its food law covers a lot of aspects, but Member States often end up filling the gaps with their own laws and applications. Rules and standards may therefore vary depending on the country. In all instances, the food safety authorities of the Member States are the enforcing body in terms of food safety regulations. There are however, three important components in the food safety system in the EU. The EFSA provides science-based risk assessment. Compared to the CFDA, it acts as a scientific advisor with regards to food safety, without any regulatory or enforcement power. RASFF was created in 1979 as a way to alert EU members as quickly as possible whenever a food safety hazard is detected, so that they can take all necessary countermeasures. Like the AQSIQ in China, the FVO carries out inspections to make sure that all food circulating inside the EU, whether imported or locally produced, follows the required standards. The FVO can also conduct inspections in exporting third countries. The difference with AQSIQ is that the FVO acts upon the food safety authorities of the Member States only, and not on the food industry directly. Although the social, political and economic models in China and the EU are quite different, the 2015 food safety reform brought the two systems closer. Of course, in their daily applications there will be huge differences between the systems. Generally speaking however, food manufacturers or online sellers who want to operate in either the EU or China will have to consider four crucial aspects, in order to ensure their products are fully compliant. All international food operators must obtain a registration number. In China, the registration system has been in place since 2012, but with the 2015 law it was extended to grains, oilseeds and live seafood. This also applies to online sellers. One of the most notable changes of the new Chinese law is that food e-sellers must keep updated traceability records of all the manufacturers of the products in their catalogue. With the registration number, the operator has permission to import food, and it could be revoked in the case of serious violations. Circulation of goods is free inside the EU Member States, but custom tariffs of course apply between China and the EU and vice versa. Tariffs depend on the type and quantity of food and are accompanied by a long list of documents, forms and certificates. It is wise to invite experts in this area. Next to this there are differences in the interpretation and execution of central Chinese legislation by the various regional offices of AQISQ. So it is wise to test the import and export of goods to and from China via various ports to see which route is most hustle free. 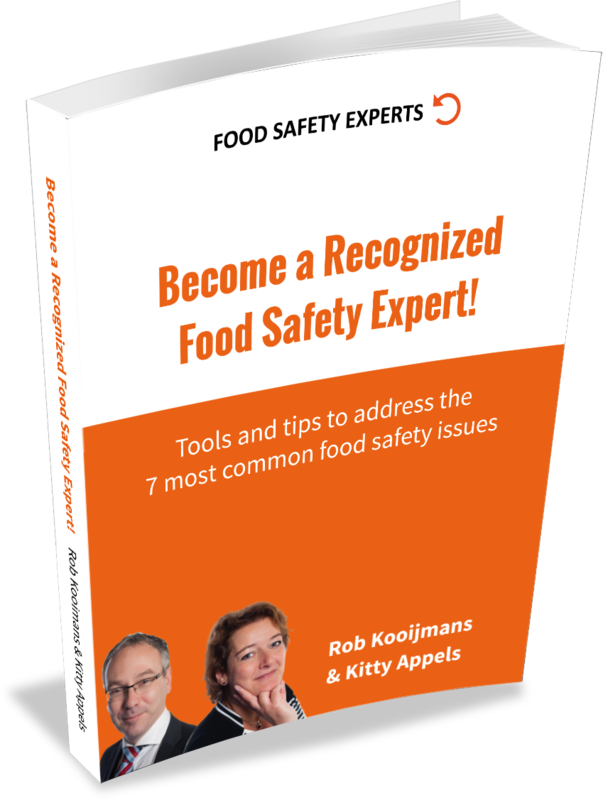 Food safety standards are related to all aspects of food: storage conditions, origin, ingredients, etc. The list is usually quite long and detailed, and will be different for fresh produce and pre-packaged foods. Labels are the interface between food products and the consumers, so it’s no wonder that the new Chinese law regulated them more strictly. Other than the “objective” details, such as name of the product, manufacturer, ingredients etc, health or nutritional claims are another important aspect to pay close attention to, to make sure they are allowed for that particular type of food. Not all foods are treated equally though. Some have special regulations, such as health foods, foods for special medical purposes, and infant and young children formula. With the recent legislation changes, the Chinese government is enforcing a better level of food safety throughout the entire food chain. As it often happens with complex systems however, changes won’t happen overnight. Laying down the rules is one thing, another is to define how to apply them in the real world. For example, after the laws came into effect in October 2015, it took China an entire year to release its implementing rules with the details of procedures and standards. The process is still at the draft stage and it won’t be official until it’s submitted to the WTO. The situation is therefore constantly changing, so the advice for foreign food operators in China is to have a trusted local importer who is up to speed with all of the most recent implementations.